Kapil starts the show and speaks with Siddhu and asks does he know who is coming on the show and shows a sign language to express his happiness about the guest. He then talks that the most beautiful girl to be Sushmita Sen. When he praises Sushmita and has no words to express his feelings for the bengali beauty-Sushmita and at the same moment Mrs. Sharma comes on the stage. Bittu becomes surprised. Bittu tries to convince Mrs. Sharma to sit in a refrigerator and she agrees and goes to sit in the refrigerator invoking laughter..
Bittu then receives a call from Sushmita and he guides her the route to reach his home. Sushmita then comes on the stage with the Kaha pe chali kaha pe hain parwaana song. Kapil hugs her and feels very happy. When he asked how is she ? She replies that she is fine and calls him Darling (Jaaneman). On hearing this, Kapil becomes amused and gives an analogy to express his happiness – For those who don’t have ration card now they directly got the passport. She says that she waited for a long time to come on his show. When Bittu asked why she is not coming close to him ? She says that just after she was born, she first asked where is Bittu.. He praises Sushmita and she replies in english expressing her admiration for him. Siddhu cracks a witty line on Sushmita’s beauty and tells that weak-hearted people’s heart can fail. She says to Kapil – Golu Molu se pyaar se in a very cute manner. He asks why does she acts in few films ? She says she spends more time for life that means films are her profession and art but is not her total life and she invests more time in children, promotions, and also refers Kapil. Kapil speaks about Sushmita’s Miss Universe moment which became a trend and tells that all girls are following that expression. She enacts the same scene upon Kapil’s insistence. She talks about her experience of visiting Manila, Phillipines for Miss Universe pageant. She talks about that time when she was standing with Miss Colombia at the pageant and the first runner-up was Miss Colombia and after that she realized and heard that the winner is Miss India which was her. It was not her victory alone but for all India at that time since India won the Miss Universe title for the first time with Sushmita. Kapil says that after winning Miss Universe whether she thought to come on Kapil’s show invoking a laughter. Siddhu cracks another witty line on Sushmita. Sushmita requests Kapil to sing a song and he agrees happily and sings the song – Maine Tumhe dekha tumhe maine jaana from the movie Main Hoon Na. After the song, Mrs. Sharma comes in and Sushmita praises her beauty. Bittu compares her to an ice ball. Bittu cracks a joke on her that she had been put in air-coolers. She accuses him on the song that he sang for her – Lakdi ki Kaanti Kaanti pe Ghoda and says how can she do a belly dance on this song. Sushmita says that Bittu is learning flirting so that he can flirt later with Mrs. Sharma. Mrs. Sharma becomes happy and then leaves. Kapil speaks about Sushmita’s role of chemistry teacher in the movie Main Hoon Na. He tells that he never saw such a teacher. He asks anyone who wants to become a student of Sushmita. Audience comes on the stage to become a student of Sushmita. Sushmita enacts the character of a teacher and wears a Dupatta and teaches the audience who are men to spread their hands including Kapil with song Tumse milke dil ka Haal jo haal kahe playing. 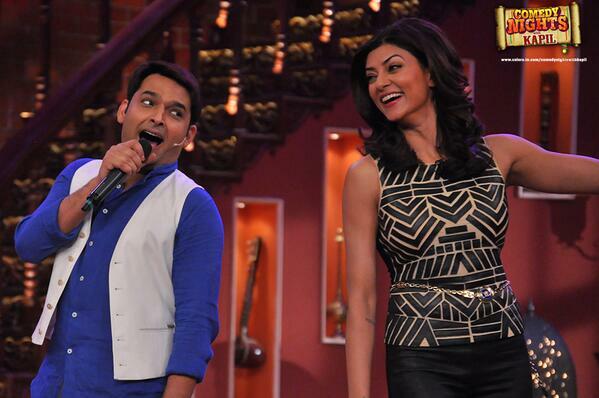 Kapil fell down when Sushmita’s dupatta touched him. Chaddha shouts from the top floor asking about Sushmita and says that he can wait for her. He then sees Sushmita sitting on the sofa and says he will come. Chaddha says that his far vision is fine and only his close intentions are bad. He comes down and meets Sushmita. She touches his feet much to the annoyance of Chaddha. He says that he needs her help as he is preparing for Mr. Universe competition. He wants Sushmita to ask him questions and he asks her to call him Mango instead of Uncle Ji. When Sushmita asks what will he do in the following year after winning the Mr Universe title for e.g., for Aman and Shanti (Stability and Peace). Chaddha responds that he will be happy with both of them as he doesn’t differentiate between male/female. Sushmita says that she was referring to spreading love among people thats why she referre Aman and Shanti invoking laughter again..
Chaddha says that he has also done practice for Swimsuit competition. He practised for 2 minutes and he will be drowned after 3 minutes. Chaddha removes his clothes until his shots. He refers it as his swimsuit + life jacket. He asks her how many marks she will give him for his swimsuit wear. She gives him 10/10 and wants him to do a ramp walk. Chaddha agrees confidently and walks on the stage for ramp walk with some shivering in his legs. Chaddha cites some reason of getting a phone and leaves. She then does a ramp walk – dilkash yeh hain jalwa song and hugs Siddhu and gets audience applause. Siddhu then again cracks a witty line on her beauty’s and says that even God was nervous to send her on the earth. Audience: A girl, Nidhi from Mumbai praises Sushmita and says she is pretty. She asks her, What was her feeling the next morning after winning the Miss Universe crown. Sushmita: says that she was carrying the crown on her head and jumping on her bed and was supported by her mother to stay calm and face the media. Speaks that her height is taller than her co-actors. So how does she work with them to make sure that she doesn’t look too tall ? Sushmita: She says that it depends on who is bigger and amicably decide. She says in her film – Paisa Vasool where actually they themselves decided to make fun on tall actresses. She says that now this trend is not there. She says she is lucky to have worked with Salman Khan. When she worked during Biwi No 1 with Salman, he told her to wear heels and don’t worry about height. She says if women is taller then there is no problem as she will listen to you by bowing her head down. Kapil praises her and she says that words like Jaan, Darling is very common to her. Vishal works in the construction line and when she asks him his telephone number, he starts to give his mobile number without thinking about his married life.. He knows that she is single and wants to sing a song so as to impress her. 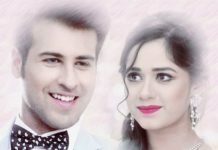 He comes with his friends on the stage and sings on the song – Mere Angne mein tumhara kya kaam hain.. His friend sings a Honey singh song – choti dress mein hot lagte mainu, and another friend sings – Delhi waali girlfriend.. Audience: He wants Sushmita to share a witty line so that he can go home and tell his family. Sushmita speaks a witty line fulfilling his wish. Kapil asks what he does ? When he says cutlery instead of jewellery, Kapil then cracks a joke on his work. Kapil speaks about Sushmita’s foundation. She then speaks on her organization – I AM foundation which she founded some 3 years ago and provides help to 15 students as of now and provides education, sanitation, health. Kapil then calls Dhamaka (Akshat) who comes on the song Soniya dil se mila le just chill and dances on the stage. Dhamaka says Hello Bhabhi to Sushmita and praises Kapil Bhaiya. Dhamaka recites a poem – This world is a small lake, God has the key, any beautiful girl if seen is his Bhabhi (sister-in law). He says that Kapil is shying to dance because of Sushmita. Dhamaka, Sushmita, and Kapil then dances on the song – Gori Gori Kahi Kahi chori song. Palak sees them dancing from the top and comes fast on the stage as she saw Sushmita. Palak shows her happiness for Sushmita. 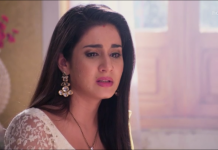 She accuses Bittu of stealing Palak Paneer food. She taunts Bittu with words – loser, beggar for which Bittu calls her – Tanker, Hippo. 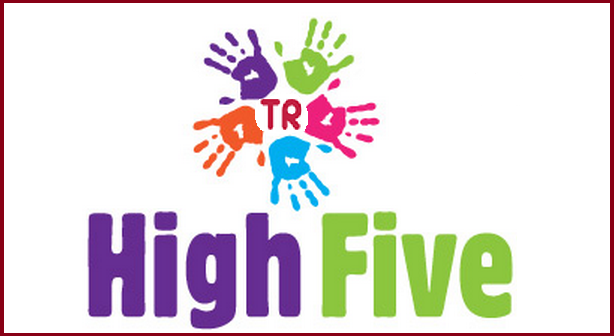 Dhamaka also joins and supports Bittu. Palak then incites Dhamaka to fight Bittu by informing him about how Bittu stole his cycle’s tube. Dhamaka now turns against Bittu and gives back 10 INR that he got from Bittu. Palak says she is a big fan of Sushmita and Bittu taunts on her waist. She speaks about born talent and then states a quote and then mixes the quote with a song – Yaha Pe Baware Kaha pe aayega mera parwana and dances on the song with Dhamaka. When Siddhu asks for one more quote, Palak is stunned as she cannot remember another quote and becomes blank. Bittu taunts Palak as Gulzar’s Saab maid. Dhamaka also argues with Bittu and wants him to talk with his tummy. As she spoke the quote and in return, Palak wants Sushmita to give her fitness tips. Bittu taunts on her diet. Sushmita talks about a unique fitness concept and routine which is Aerial silk (which will have a mix of dancing, ballet and a special dance from Kerala – kalaripayattu) and INHALE (which will be the name of her studio as well). She says on this stage it is not possible to show that aerial act as it requires a different setting. Kapil comes close to her and informs her that they have already arranged the aerial silk act and then the cloth drops down. Sushmita starts to show the aerial silk and applies hair band and does the aerial act with some music playing in the background. She does the act effortlessly and Kapil and others watches her and applauds. Bittu taunts again Palak that she cannot do the aerial act. 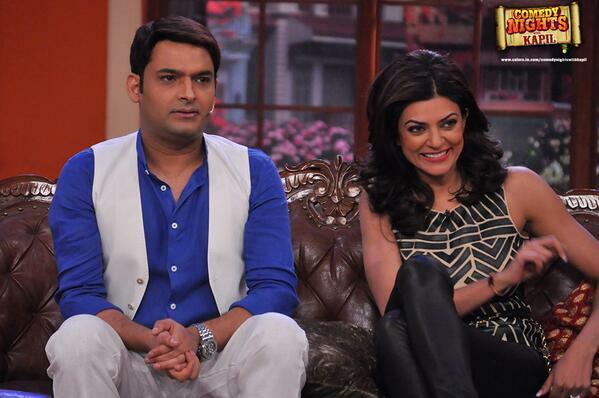 Kapil thanks Sushmita for coming on the show. She says she should have come earlier on the show and thanks everyone and specially Kapil. For her it was a memorable moment to come on CNWK. 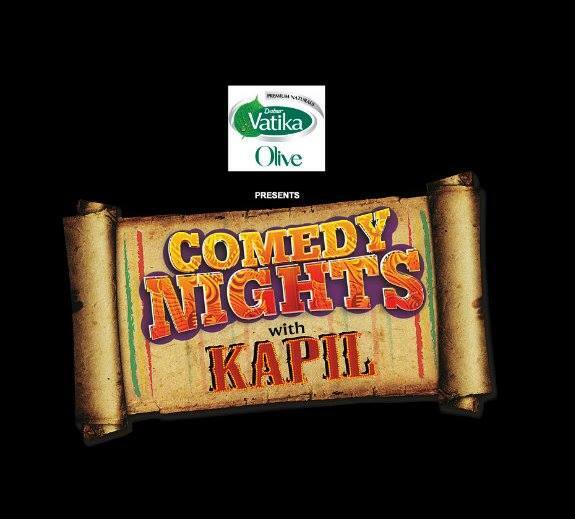 Upon Kapil’s request, She signs off by saying – Everyone, Be happy then everything is possible, God will be with you and urges everyone to watch Comedy Nights with Kapil with Kapil Sharma. The show ends on that happy note with Main Kudi Anjana Shahir Anjaana song playing in background. Next week Guest: Tiger shroff who comes on the show with a big jump and then dances on his upcoming movie Heropanti’s title song and seems to have a good time on CNWK. Tiger Shroff is the son of popular actor – Jackie Shroff.